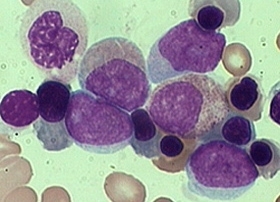 Scientists 've developed a breakthrough treatment that can help children beat recurring leukaemia. According to scientists, the discovery will 've a big impact on treating the most common form of blood cancer. A study showed that children whose acute lymphoblastic leukaemia (ALL) returns 've a higher chance of survival if given the drug mitoxantrone. After three years on it, 69% of child victims were still alive compared to just 45% on current standard treatment, idarubicin. "These striking results offer hope to many families across the country," quoted Cancer Research UK expert Vaskar Saha, as saying. More children die from leukaemia than any other cancer & ALL accounts for eight in ten cases.